Monday at TCMF — Ms. Kat reporting! 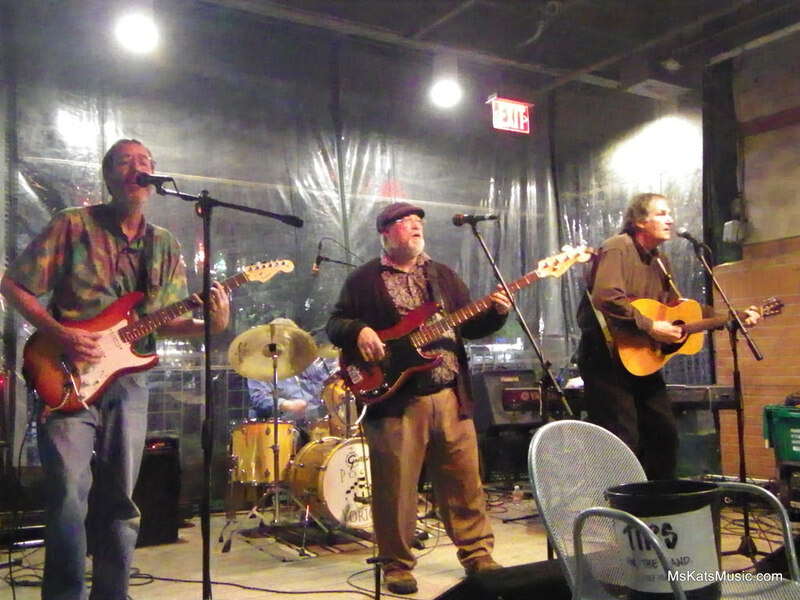 Poor Yorick rocks the Cafe Monday night at the Texas Community Music Festival. TCMF is OFF on Tuesday but returns Wednesday! Hello all, Ms. Kat here! After missing the first weekend to play hooky at Old Settlers’ Music Festival, this was *my* first night at the Texas Community Music Festival this year! We saw the third appearance of the all-IBMer Blue Diamonds, who played some smokin’ horn-rock covers from the 70s (tight! ), a bit of Louis Prima style swing, and guitarist Brian Veraa’s fabulously funky original tune, “Bad Habits.” This band has highly evolved from their 20-piece jazz big-band origins, and their musicianship shines through the rock and roll line up. Second up were Las Gabacha-chas, whose name I managed to mispronounce mere seconds after getting it right. These ladies radiated joy in making their music (that’s not actually sun glare in the photos — that’s what joy looks like! ), and captivated the audience with their precision Latin rhythms. Even a song about cholesterol sounds deliciously foreign en Espanol, and when set to a rhumba beat. You can’t help but get a little hip-wiggle going when you’re in earshot of this band! And alas… we reached the last band of the night. Alas… alas…. Poor Yorick. They rocked the deck!!! From a high-energy cowbell feature, to a clever tune about the kitchen junk drawer (you know you’ve got one! ), to a tune that breaks down into an old-school rap, there was never a dull moment with Poor Yorick on stage. With a great stage presence and a dedicated dancing fanclub — this was an awesome debut performance at the TCMF! The TCMF will be taking a break from the festivities this evening, but will return on Wednesday with three more sets, and then we’re partying ALL the time from Tuesday April 22nd all the way through Sunday the 27th. Don’t miss this!